My regular readers know that I’m all about maintaining a healthy lifestyle. And one of the best and easiest ways to promote wellness, increase hydration, and support your holistic health is by drinking tea regularly. I’ve become such a tea aficionado after learning the many benefits of these key ingredients and discovering the absolutely delicious taste of Niche Tea. 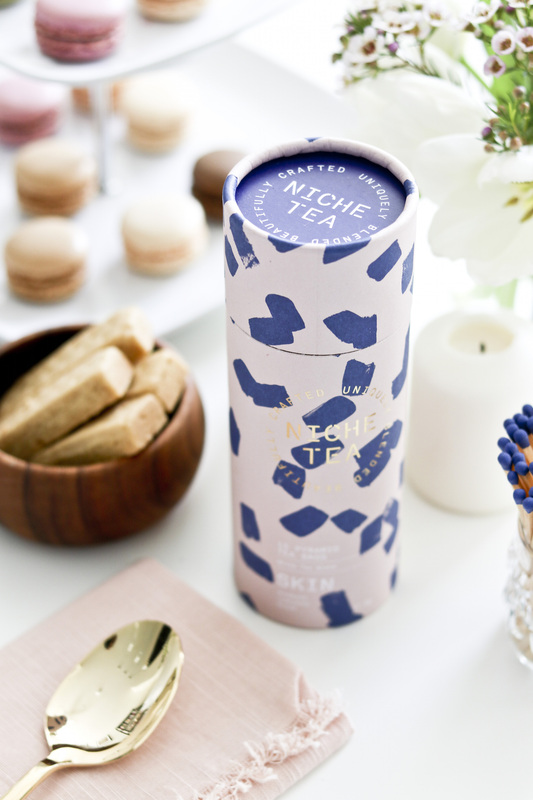 With innovative flavors ranging from their rose petal-infused Skin blend to oolong-melded Body mix, Niche Tea makes feeling beautiful, vibrant, and energized a breeze. 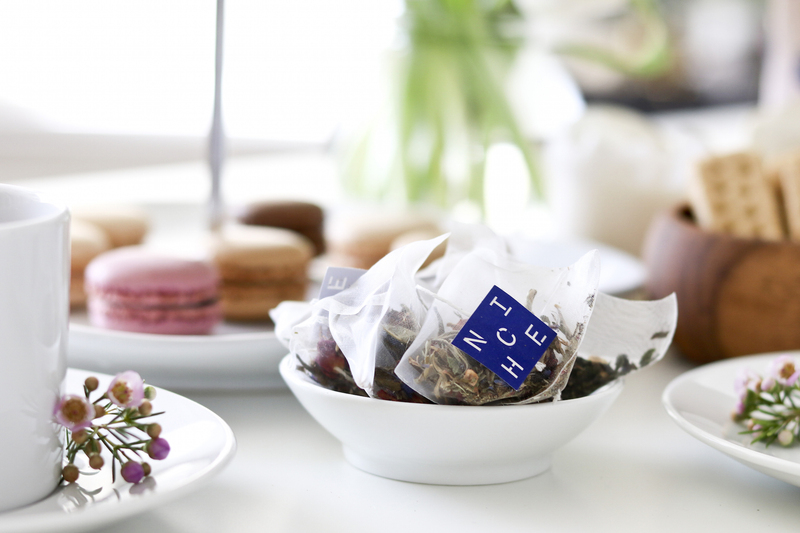 Officially the Niche Company, Niche Tea began as the brainchild of Amanda Miles Ricketts. While Amanda was always a tea lover, she began noticing herbs’ anti-aging and beauty-enhancing effects after she hit the age of thirty. Hoping to hone in on this age-defying effect, she began self-educating, learning all she could about how to increase the effectiveness of tea’s natural powers. 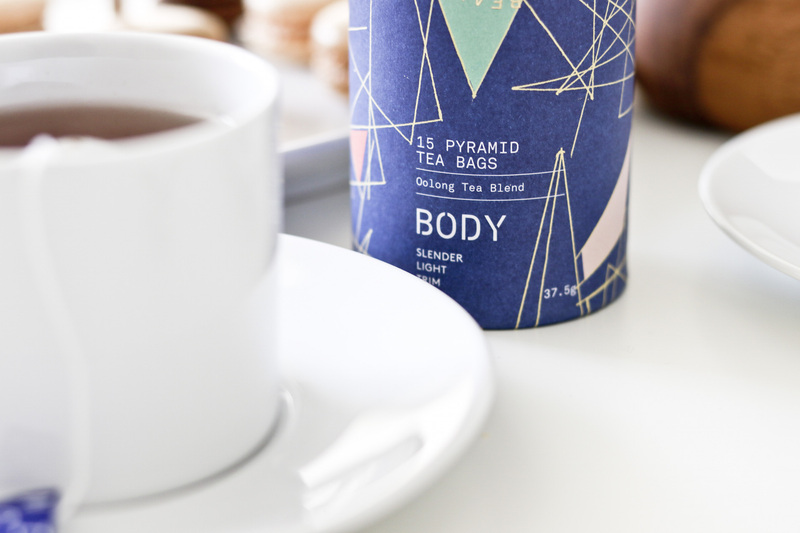 The result of the tea expertise that Amanda cultivated through years of research was a collection of six original tea blends focused on supplementing nutrition and supporting beauty from the inside out. Amanda learned exactly which herbs supported different beauty and health functions and combined them to make a truly gorgeous and delicious product. 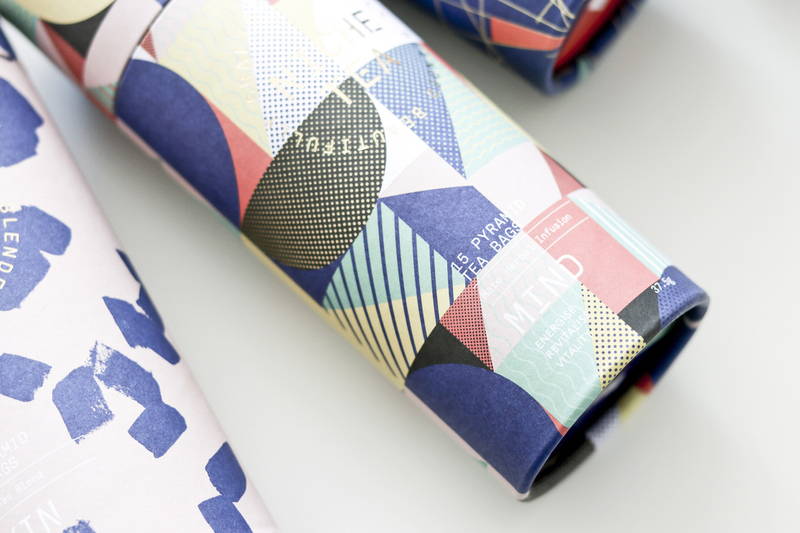 Niche now offers six flavors that specifically address different aspects of wellness and beauty. While drinking tea is incredibly healthy in and of itself, these key blends make it even easier to focus on those aspects of your self-image that you would like to improve, whether it’s losing a few pounds, eliminating bags under your eyes, or flushing out your digestive system. Skin: Drawing upon the anti-aging and antioxidant properties of white tea, this delicious blend is sweetened and enhanced with hints of hibiscus, dandelion leaves, red clover, rose petals, and elderberries. Mind: This blend enables you to energize and revitalize mentally with yerba mate, a natural source of mental stimulation and vigor, popular across many Spanish-speaking countries. This flavor also includes hints of cocoa shells, cinnamon, lemongrass, lime leaves, and gota kola, dynamic elements that both stir the mind and tempt the taste buds. Cleanse: Perfect for those switching over to tea from coffee, this blend of digestion-supporting peppermint, cleansing pu-erh tea, licorice root, ginger root, fennel seeds, and cardamom will clear out your system, leaving you feeling healthy and refreshed. 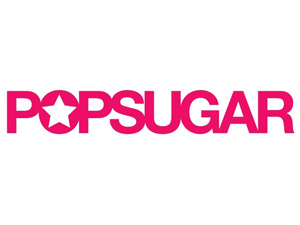 It’s also a great treat for your body after a hard night of partying! Body: This flavor is designed around the weight loss properties of oolong, a traditional and popular Chinese tea that helps boost the metabolism. Added in are ginger root and aniseed, which work to combat indigestion, and hints of hibiscus, apple, rosehip, cleavers, juniper berries, and orange peel. Hair: Known for stimulating hair growth and supporting scalp health, peppermint has long been a favorite of beauty experts. This tea harnesses the power of peppermint while also bringing in elements of green tea, nettle leaves, schizandra berries, apple pieces, sage, and chili to keep your hair as thick, luscious, and strong as it is long. 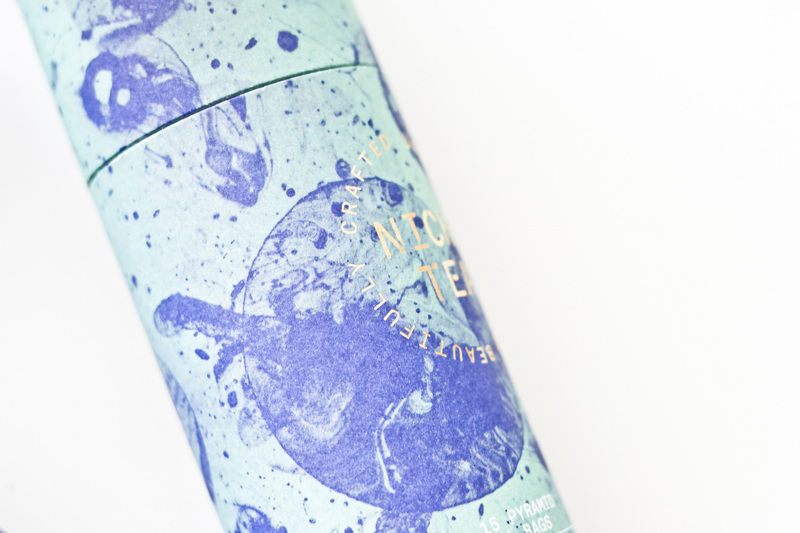 Sleep: Recognizing the effect that a good night’s sleep has on our overall health, Niche has added this relaxing blend of soporific herbs, including rooibos, lemon balm, chamomile, passionflower, rose petals, and lavender. I highly recommend sipping on this tea in the evening while burning your favorite luxury candle to decompress after a long day. It doesn’t hurt that each of these teas comes in a gorgeous cylindrical container that looks absolutely stunning next to any of the other blends—meaning that you can buy all six, line them up on your counter, and enjoy the colorful pop that these accent pieces add to your kitchen. Best of all? I absolutely love that these teas are all natural and packed in pre-measured triangular sachets with the perfect mixture of tea leaves. I can rest assured that I’m getting the highest quality and most nutrient-rich herbs and spices available! 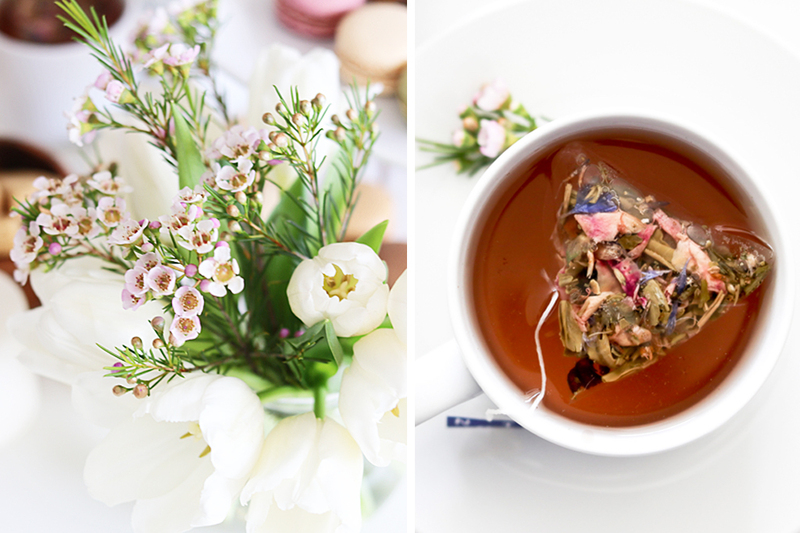 Try Niche Tea today and add an effective and delicious practice to your beauty ritual. Spring is in full bloom, and I’m loving the fresh air, the scent of blossoming flowers, and the colorful foliage of this vibrant season. Another thing I love about this time of year is Easter—it’s the perfect opportunity to gather family and friends and celebrate. As with any occasion, no celebration would be complete without a fabulous table setting to set the tone for the event. 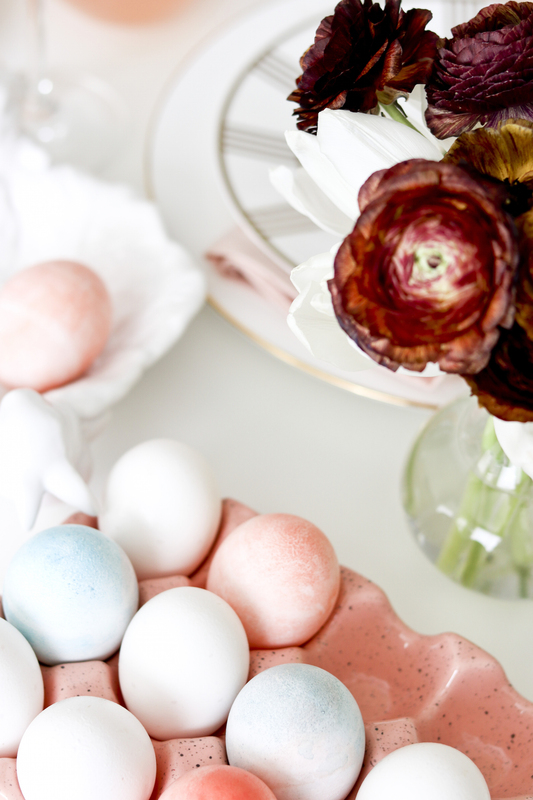 In anticipation of Easter Sunday this coming weekend, I’ve brought together a few of my favorite table elements to provide a little inspiration for those of you planning to entertain this Easter. In keeping with the spring spirit, I designed a fun and youthful table for the enjoyment of adults and children alike—and I even incorporated some of the pastel color palette that I shared last week! Much of the symbolism that we associate with Easter focuses on birth, rebirth, and babies. Think of decorated eggs, blooming flowers, fresh grass, and of course the cute little bunnies themselves. I like to think of the spring as the chance for a clean slate—the opportunity to pick up any discarded New Years’ resolutions and set goals to last for the rest of the year. Something about all of the rain and baby animals just makes it seem as though anything is possible! 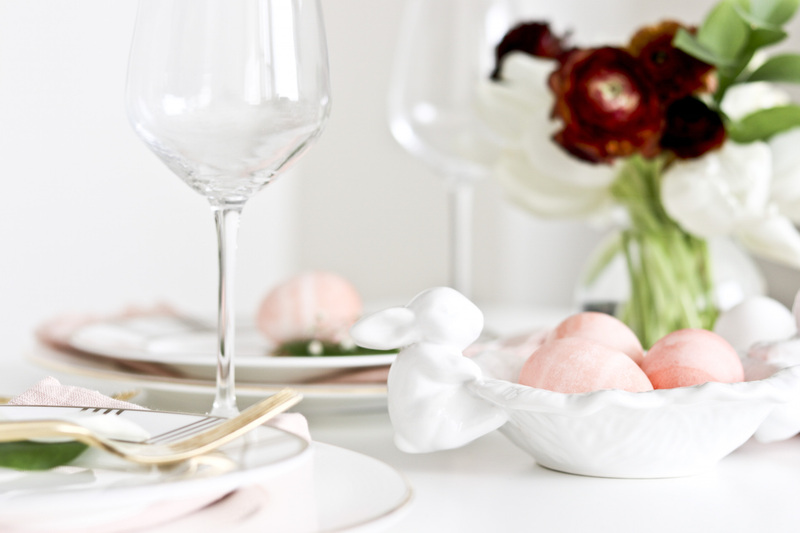 To set the stage for this mentality of renewal, I started my tablescape with a plain but elegant white tablecloth. This neutral hue also complements the light color palette of the season, making it a perfect fit. When was the last time you tried dyeing some hard-boiled eggs? I thought, why not give in to the youthfulness of the season by trying out this practice again? As an adult, you can bring a skilled artistic eye to egg painting that renders gorgeous designs. Plus, it’s a lot of fun dyeing the eggs! I like to use a bit less dye or submerge my eggs for less time to color them in pastel shades perfect for a spring-themed table setting. 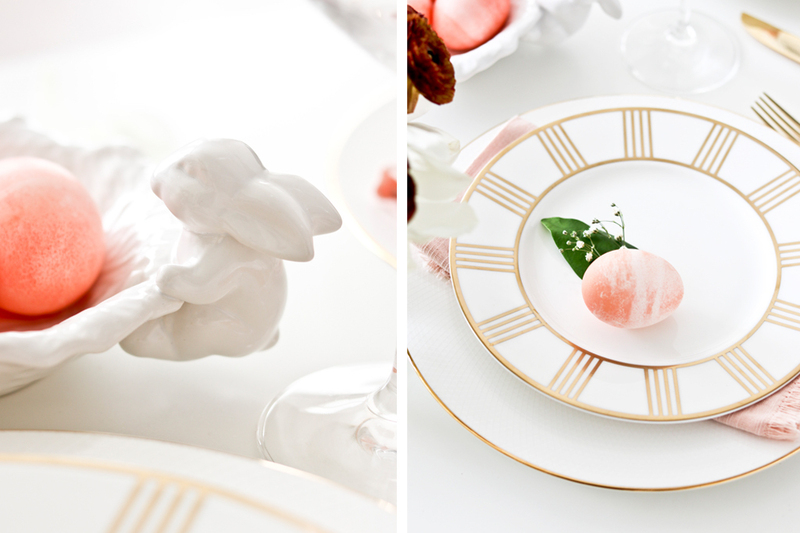 As another symbol of spring, any budding blossom makes a fabulous statement for an Easter tablescape. Just follow your heart—or nose—to your favorite flower and let your intuition be your guide. You might even choose some especially dark or bright flowers to accent your table, adding a pop of color that provides a gorgeous “wow” factor. Plus, the scent offered by these blooms is absolutely divine! To finish my table setting, I love bringing in some of my favorite china. I decided to offset the pastels with a chic gold flourish from the gold-embossed London plates from the Lionel Richie Home Collection. This design doesn’t overpower the other color elements but seems to make them shine, if possible, even more brightly. I suggest pairing this china set with some small verdant elements that reflect the life of the season, such as a few deep green leaves and a sprig of flowers. To complete the occasion, bring in a cocktail that matches the table in both flavor and design. 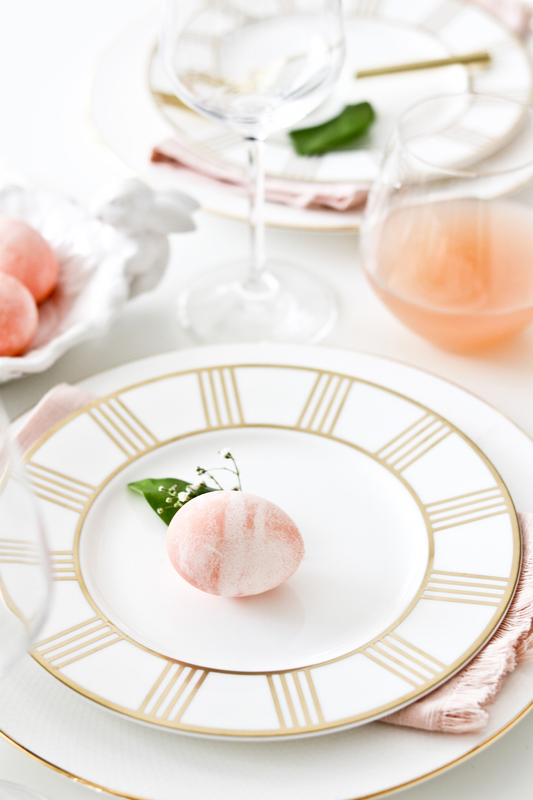 I particularly enjoy pink, so I suggest pairing some peach Bellini with a sweet rosé—serving these in some gorgeous crystal wine glasses allows the color to further complement the tablescape. Spring is the time to take in some of the sweeter liquors, which are especially appreciated when served chilled on a hot day. Just remember to go with the feel of the season. Think pastel colors (with a few darker accents here and there! ), warmth, and rebirth (eggs, baby animals). 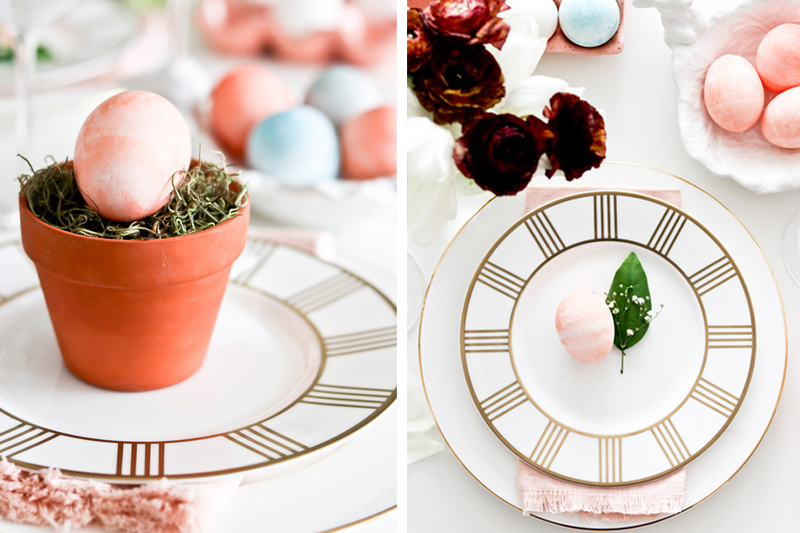 Take in a few minutes of delicious sunlight and let the renewal and warmth of spring inspire you to design a tablescape that’s just right for the Easter season. Spring is finally here! If you’re like me, you likely couldn’t wait to break out your warm weather clothes—some fun and flirty spring fashions to celebrate the end of winter. I absolutely love spring colors and I’m far from alone—many luxury designers began introducing their spring 2017 collections as early as fall of last year! With this pastel palette (featuring Pantone hues), you’ll be ready to slay with hues that celebrate the season, bring out your natural colors, and complement the spring blooms, whether you’re at home or on the go. Living in LA, I feel like I wake up in paradise every morning! Yet, even I have fun bringing the wonder and tranquility of the islands into my home as the weather warms up during the spring. For me, island paradise flawlessly captures the color of the Caribbean sky, evoking an idyllic, dreamy feeling. 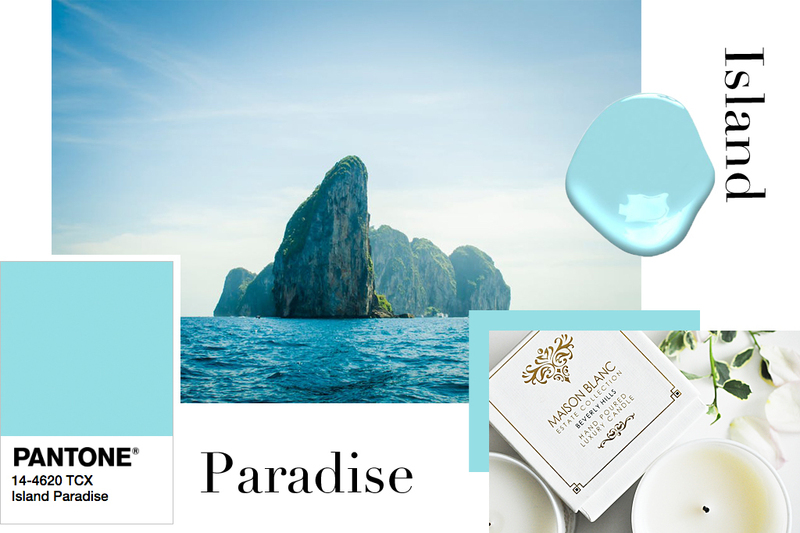 Popularized this spring by designers such as Escada and Barbara Bui, island paradise is perfect for handbags, flowy dresses of wispy fabrics, and making a home feel both welcoming and tropical. A deeply relaxing color, I love bringing island paradise into my restrooms to create a restful home spa experience. Make this space even more serene by incorporating the tropical grapefruit and passionfruit-scented Beverly Hills luxury candle from the Estate Collection. For a fresh and feminine hue, consider the gorgeous orchid smoke, widely featured in Zac Posen and Balenciaga’s 2017 collections. This muted pinkish-purple shade offers a flirty and romantic alternative to lilac or violet, drawing upon the natural marvel of this equally beautiful blossom. Plus, as a darker pastel, this tone can be great for those who may have trouble finding spring shades that work with their coloring. I usually wear orchid smoke as an accent color, especially for strappy shoes, sweaters, and even eye shadow. 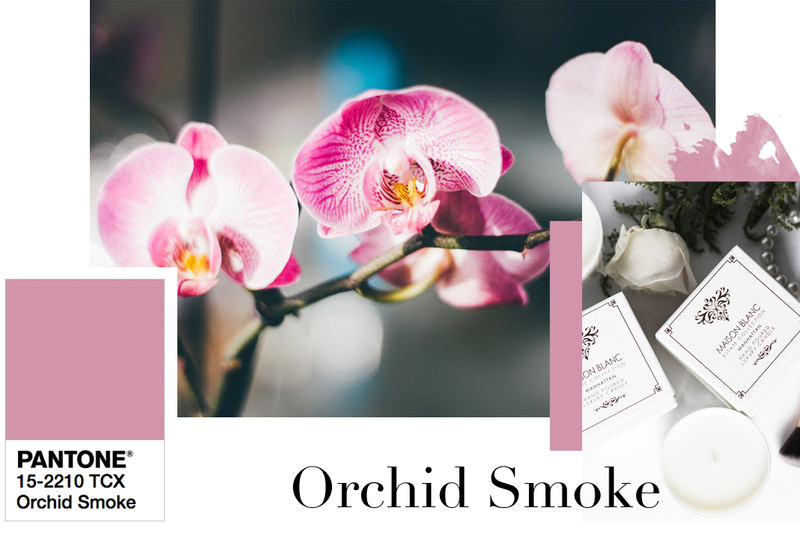 To bring the splendor of a floral garden into your home, use this shade in your sitting room or bedroom—orchid smoke is a great color for accent pillows! Then, add the equally breathtaking fragrance of orchids to your experience of the season by burning the lemon, bergamot, and orchid-scented Manhattan luxury candle. I’ll admit, I used to think that I hated salmon. But that was before I learned of its many variations. 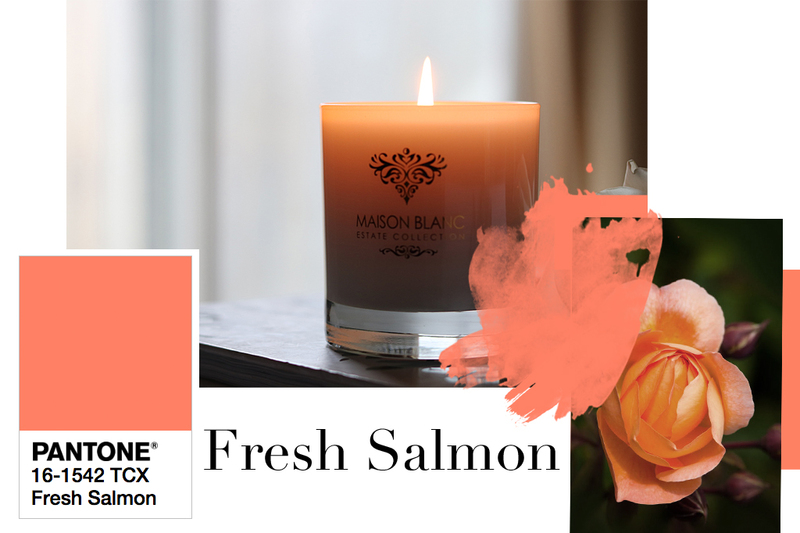 Fresh salmon, as a slightly more pink salmon hue, just makes this shade feel so much more romantic! 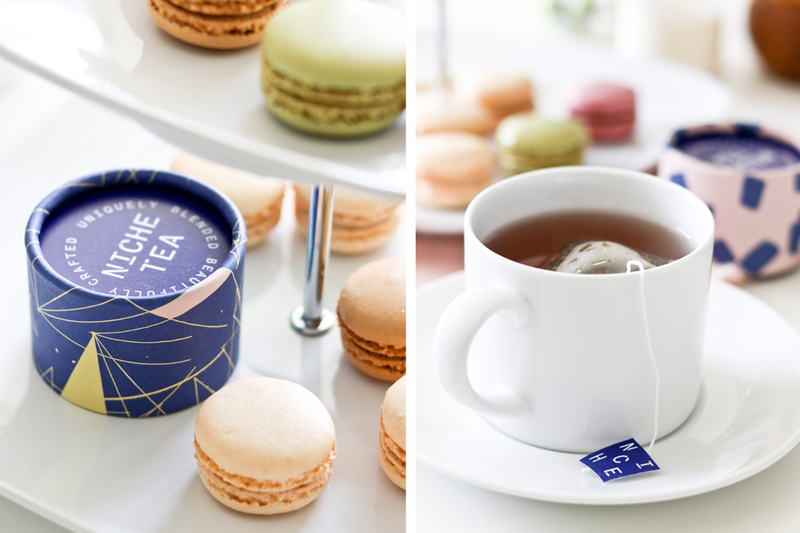 There’s something deeply sophisticated, almost Parisian about the color. It reminds me of the soft roses that line the Jardin des Plantes, just a short walk away from a small zoo in the 5th arrondissement. Brought to the attention of the fashion world this spring by Maison Margiela and Givenchy, fresh salmon can add some femininity to your work wardrobe without making it feel too girly. This color makes for a chic blouse or skirt, perfect for the career woman eager to climb the corporate ladder! I also love this color in my dining room and office, offering a feminine touch that won’t make the guy in your life feel too overwhelmed. Bring an extra hint of French elegance to your space with the fig, cypress, and eucalyptus blend of St. Tropez. As with any season, no spring wardrobe would be complete without a muted but attractive neutral, a great accompaniment to any of these other colors. 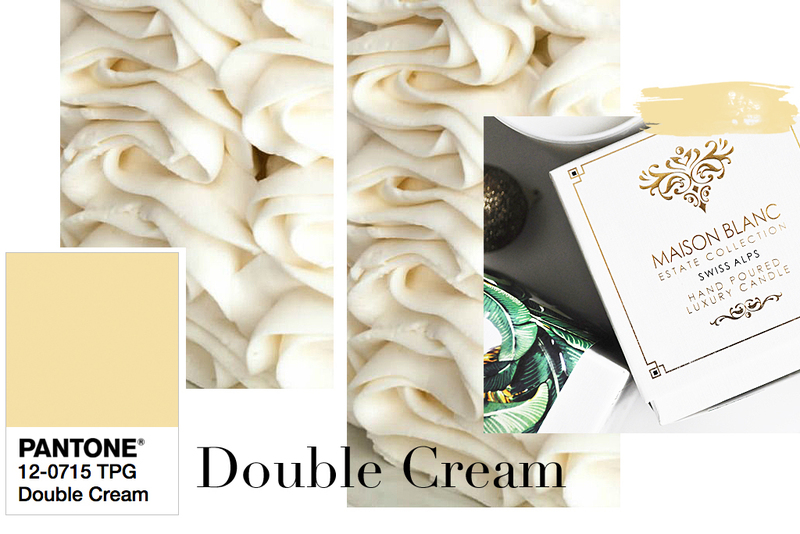 For spring 2017, the color seems to be the delightful and buttery hue of double cream. Think of it as the sprig of edelweiss complementing a fabulously vibrant bouquet. Making a splash in Prada and Ralph Lauren’s spring 2017 collections, double cream works well with brighter colors—if you’re wearing a dazzling skirt or dress, try accenting it with a double cream belt or top. While this color works anywhere in the home, I absolutely adore double cream linens, such as sheets, table cloths, and towels. Add an additional element of sweetness and freshness to complement your crisp double cream linens with the peach, edelweiss, and bellflower scent of Swiss Alps. While some of us may want to redecorate our home with each passing season, just by incorporating a few elements with these fresh and verdant colors, you can celebrate change without wearing yourself out. Make the arrival of spring your excuse to add a few fun elements to your home and your wardrobe. It is the season of rebirth, after all! Note: To make it easy for readers to find the right color, Pantone names were used throughout this article.